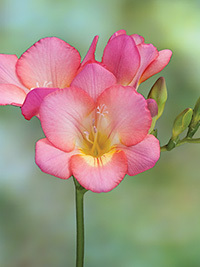 A soft pink single freesia with excellent flower form. A great commercial cut flower variety. Fragrant, 40cm.